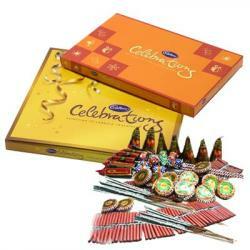 Product Consist : Box of Almond Sweet (Weight :500 Gms) with Assorted Fire crackers (Worth Rs.300/-) (Note: Types of Fire Cracker are depends upon their availability no specific choice). 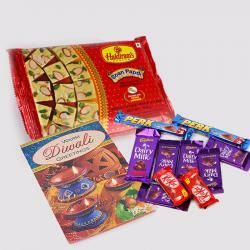 Diwali is the Best from all festivals which is dearly awaited by all. 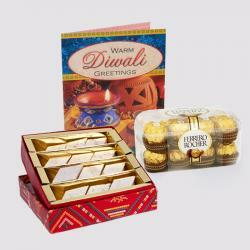 This year delight your loved ones with awesome hampers to make their Diwali celebration special. 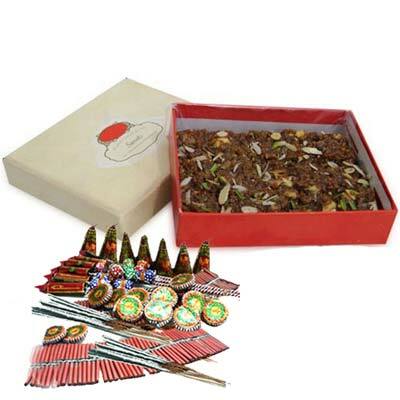 This is a stunning gift hamper that comprises of a box of 500 grams of mouth watering Almond sweets and diwali firecrackers. 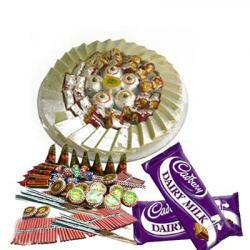 This spectacular gift hamper is bound to elate your loved ones in best way on Diwali. So go ahead order it now. Product Includes : Box of Almond Sweet (Weight :500 Gms) with Assorted Fire crackers (Worth Rs.300/-) (Note: Types of Fire Cracker are depends upon their availability no specific choice).